We don’t just brew beer, we have an incredibly versatile open space, plus meeting rooms and more - all under one roof. Our space allows flexibility. Whether you're after a minimalist styling, dry hire and open plan - or you've got ideas for grand scale production and events, we can help make it happen. On top of that, let us help you find the right entertainment and catering for your guests with our diverse list of local performers, food trucks and catering options. If you're looking to celebrate your special day or milestone in a unique space, we have everything you need and plenty of room to help bring your vision to life. Transform our versatile venue with table centrepieces, a live band and whimsical decorations. We can help you design the ultimate occasion for you and your guests, from a dinner + dance layout to a full sit down 3-course meal for a wedding reception, birthday party, anniversary or graduation celebration. We held our wedding reception at the amazing Small Beer Brewery after our ceremony at the Asylum Chapel, about 5 minutes away. The venue team were really flexible and a huge help, introducing us to a range of caterers and suppliers, from furniture hire to the wedding band. The industrial vibe of the venue meant we could add our own personal touches and plan a totally unique experience. We had the most wonderful day! 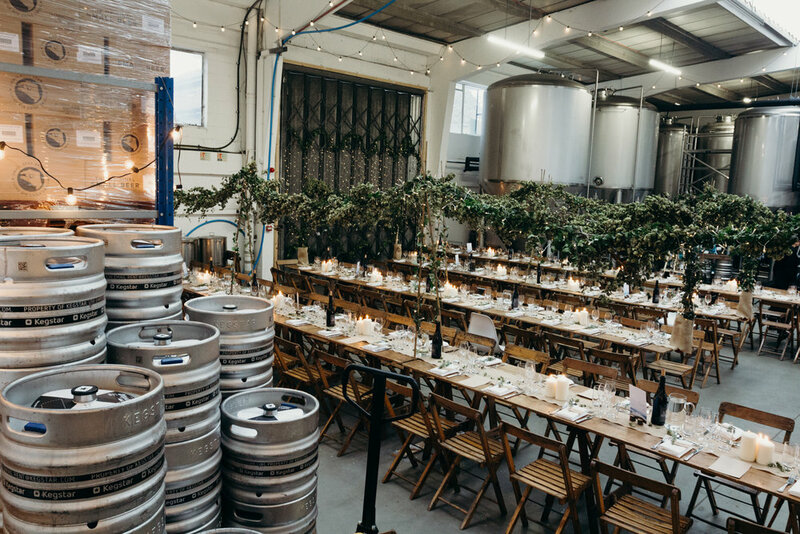 Networking events, meetings of any size, or all day conferences with break-out spaces and plenty of natural light - business events of any description are perfect for The Small Beer Brewery. Gone are the days of stuffy hotel meeting rooms and 1-style boardrooms. Our space is designed to help you and your team think outside the box and work together on creative strategies and team building. Plus, bookings for corporate usage includes our refreshing Original Small Beer pulled from our taps. Our great tasting low ABV beer will ensure plenty of enjoyment and productivity. 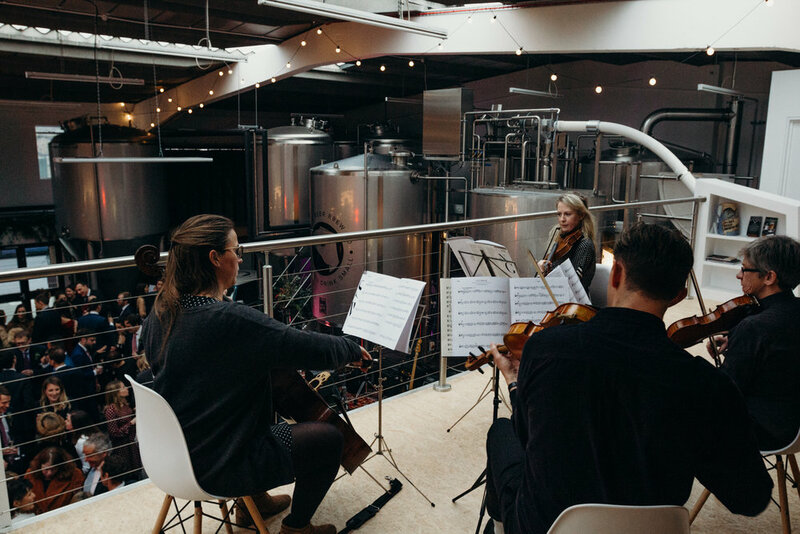 Thanks to our large open space in the main brew room, built in bar and storage space, we are fast becoming an ideal venue for comedy nights, music gigs (acoustic and amplified) and art exhibitions. Host your art or product launch on our mezzanine and finish with a drinks reception at the bar. Have ample space for your dance class, rehearsal or yoga sessions. Bring your own Audio Visual equipment or let us source for you to take out the hassle.